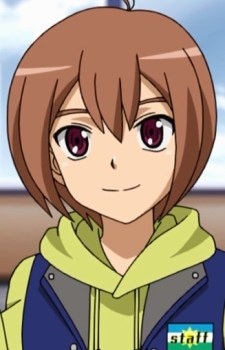 Taiyou Asukawa is a friend of Chrono Shindou after being taught how to play by him during his first visit to Card Capital 2. He uses a Gold Paladin deck and his ace is Sunrise Ray Knight, Gurguit. At first Taiyou appeared to be a timid and shy person. After he was taught by Chrono how to play Vanguard, he began finding it more enjoyable.